In Nomine was composed for tape, percussion and optional organ, and was first performed in 1973. Bonighton wrote that it was ‘...a piece designed for realisation in a studio with only limited means - one small synthesizer and two 2-track tape recorders’. 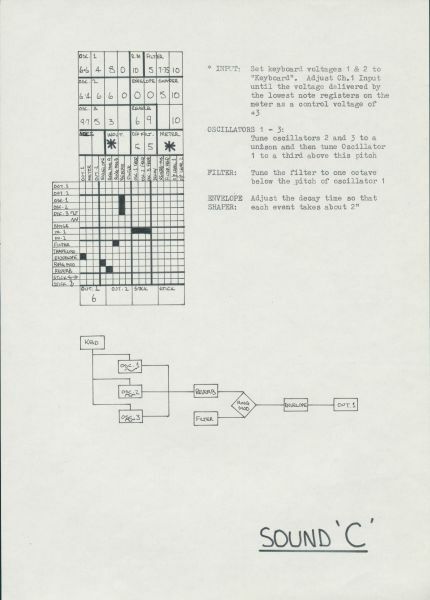 It was written for performance on a EMS Synthi VCS3 , one of the instruments Bonighton had available in the Grainger Electronic Music Studio in 1969, prior to the installation of the infamous Synthi 100. 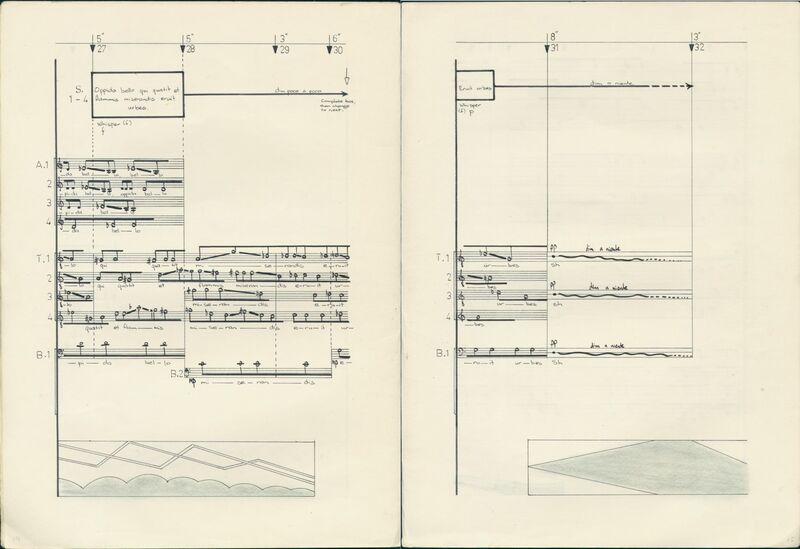 The score for In Nomine is fascinating. Bonighton has included extensive instructions for the original creation of the 4 electronic parts (Sounds A-D). 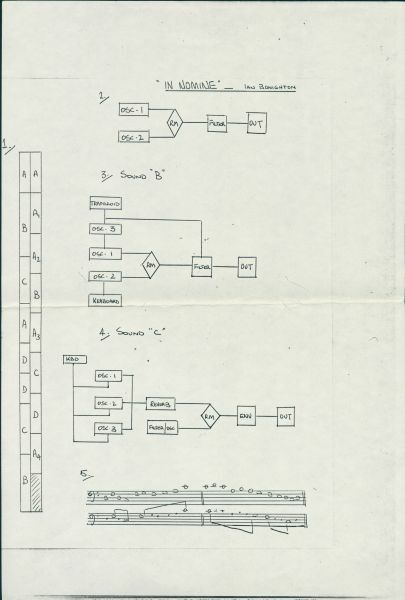 Notation for the new sounds was a challenge for composers, and archival material such as Bonighton’s score gives rich insights into these early years of electronic experimentation. Bonighton’s Sleep, and In Nomine were recorded and published on the Move label on the LP Sequenza. These scores will be on display in the forthcoming Synthesizers: Sound of the Future exhibition.